In the short clip, widely shared on social media, an Indian soldier can be seen trying to learn some tai chi moves by a Chinese soldier. 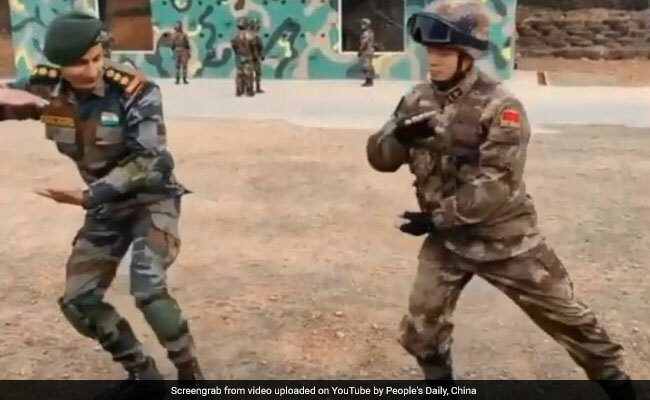 A video of a Chinese soldier teaching tai chi to an Indian soldier is winning hearts on the internet. Indian and Chinese militaries are often not in the news for their bonhomie, especially since the Doklam standoff that happened last year between the two neighbours. However, a video of a Chinese soldier teaching tai chi to an Indian soldier is winning hearts on the internet. Tai chi is an ancient Chinese practice focused on flexibility and whole body coordination that promotes harmonised motion in space. Tai chi has been previously proved to be an effective exercise to improve balance control and flexibility in older individuals, suggesting its efficacy in preventing falls. Relations between India and China were severely hit by the 73-day face-off between the Indian and Chinese armies at the strategically sensitive Doklam tri-junction in the Sikkim sector last year. Ties between India and China have improved since then after a series of meetings between Prime Minister Narendra Modi and Chinese president Xi Jinping. Indian officials say there have been a number of positive developments like Beijing giving market access to Indian products, but much is yet to be done in issues like addressing the widening trade deficit.